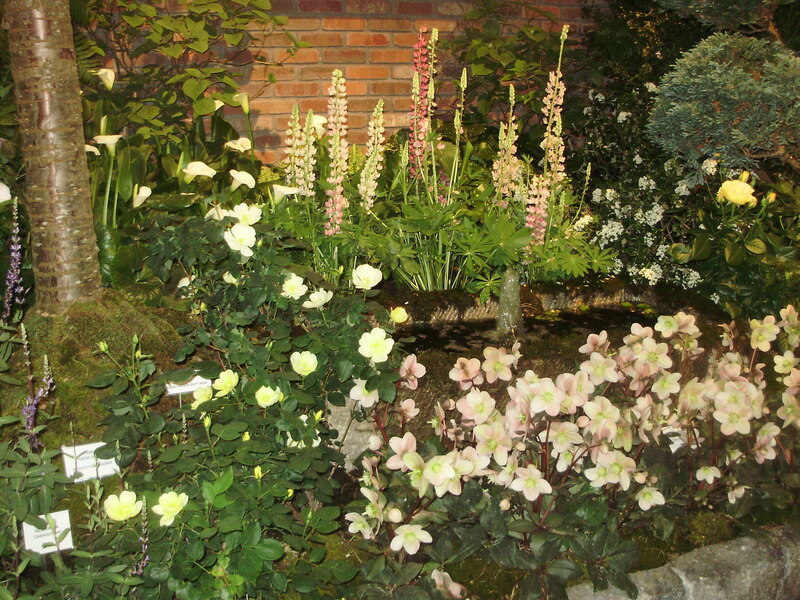 Another Phila Flower Show Year! A time for reflection this morning, many of you know that my hubby Jim and I designed and installed displays in the Phila Flower Show. This opportunity opened up for us over 14 years ago, along with volunteering for the Orf family whom owns Waldor Orchids. It is always magical to witness a flat cement floor and huge hallow space, turn into woodlands, mystical hollers, Peaceful meditation places and city scene turn into magical arena’s of beauty. Due to our lively work schedule, Jim and I will not be doing a display at the Phila Flower Show, we will go back to being part of the “crowd”. I thought I’d share a few pics today of some of our displays. I know spring is just around the corner! !